"Skype is a popular tool that allows you to make voice calls over the Internet and is being widely used for recording podcasts, conducting telephonic interviews, conference calls and instant messaging. Skype does not allow you to record the conversation or conference, but you can easily record the Skype calls or conversation using third party tools and can save them in audio files like MP3 or WAV. 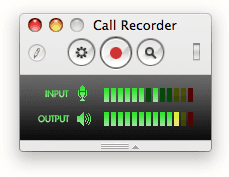 Below are list of free Skype call recorders that can record audio stream and video stream of Skype..."